A surprising interest in writing poetry six-plus decades into life is pulling the thread of the fabric I could previously identify with. I find a book of poetry in my hand in most spare moments of the day, so I guess new fabric is being woven. At the library yesterday and at the recommendation of my writing instructor at the Oregon Culinary Institute (OCI), I requested a book of poetry that was a Pulitzer Prize winner in the early 1990s. Also at the reco of an OCI chef-instructor, I thought I might pick up a copy of MFK Fisher’s The Art of Eating, published long ago but never having made its way to my reading table. I’m now waiting for a copy of The Wild Iris which is on hold. In the stacks I noticed a 634-page volume of the author’s, Louise Gluck, works that I thought I might read in the meantime. Being a good steward of time, I looked for Fisher’s book, as well. I could only laugh: 749 pages. This, with a term of Advanced Restaurant Marketing, creating a full operating plan for Essential Confection, three upcoming EC jobs, a second OCI class, two food blogs, work, and a stack of other books of interest. Now, any pastry or confection recipe of quality that has the potential for greatness is a recipe whose lure I accept. Let’s give it whirl. 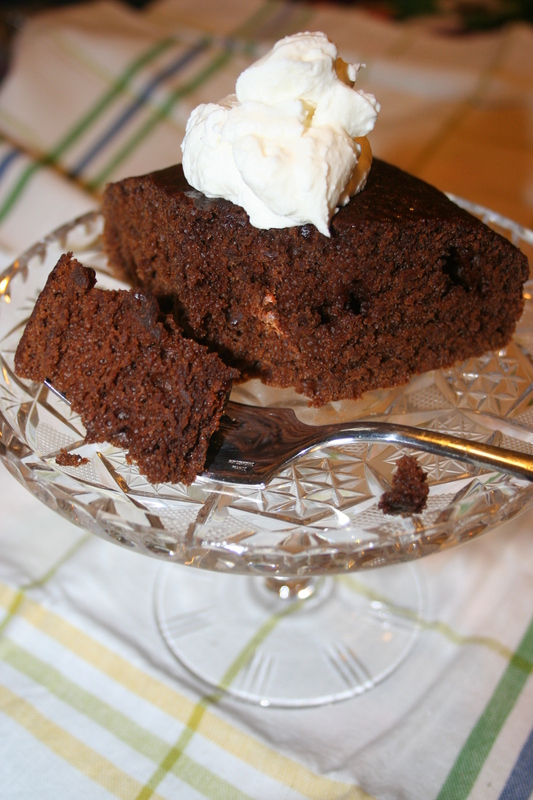 Edith’s Gingerbread has a very light crumb and beautifully moist texture. It would be irresistible without any other accompaniment but lovely sips of tea. Naturally, I used butter instead of shortening and triple sifted the dry ingredients to ensure even distribution of spices and leavening. I also used the Cuisinart for the entire preparation which expedited the process. MFK said the gingerbread is fabulous cold, and my guess is that it will do for a great up coffee what it did for a great cup of tea. Tomorrow morning will tell. Cream the shortening and sugar. Sift the spices and flour and baking powder together. Beat the 1/2 tsp soda into the molasses until it is light and fluffy, and add to the shortening and sugar. Add the 1/4 tsp soda to the boiling water, and then add it alternately with the sifted dry ingredients. Fold in the beaten egg when all is well mixed, pour into a greased and floured pan, and bake about 20 min at 325 degrees F. This mixture will seem much too think to make a cake, but do not increase the quantity of flour, as many doubting cooks have tried to do. MFK’s serving suggestions were with either a hard sauce or a wine sauce (using sherry).